Happy Friday everyone. Its almost Mothers Day over in the US and Graphic 45 are sharing a few more perfect projects over on their blog today. 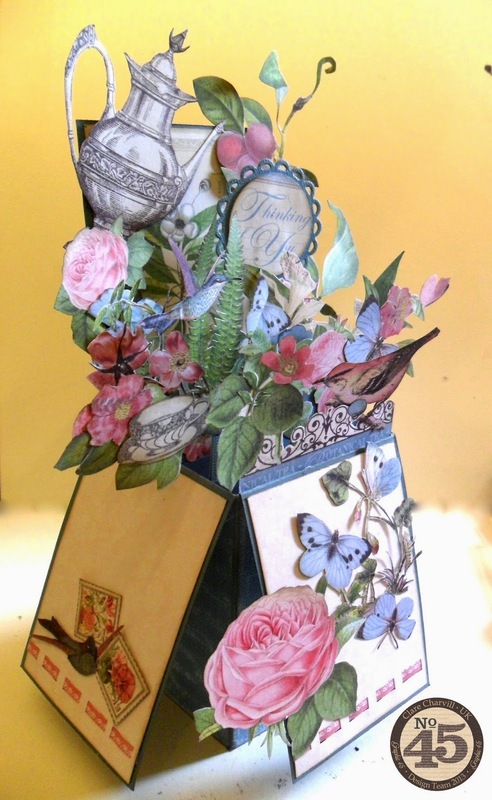 There's a fantastic tag tutorial from Nicola and one to go with my Botanical Tea folding card (above). 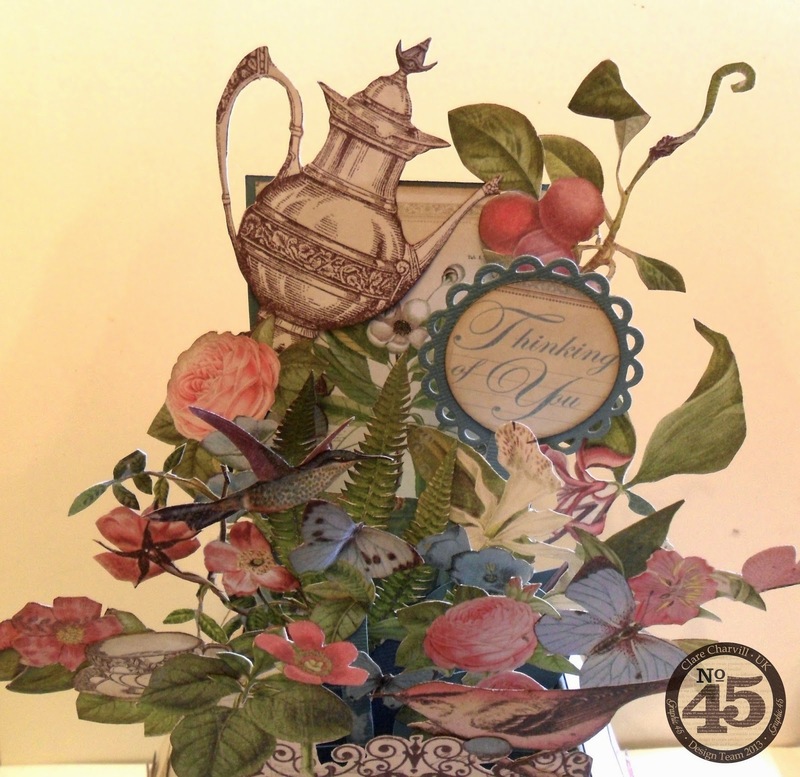 I was in fussy cutting heaven making this card and had a real shall I shan't I moment when cutting out the fern leaves. My plan was to just cut around the shape but I just couldn't do that and ended up cutting around each of the fronds …….. how long did that take lol!!! Anyway Happy Mothers Day to all Moms everywhere. Enjoy your day. Beautiful as always Clare!!! My what a lot of work you did fussy cutting, but it is well worth it!!! Any mother would be so pleased to receive this card on Mother's Day to be sure. Have a great weekend with the ladies at Crafting Times I sure you all will have a great time. I am off to a class today, should be interesting will tell you more later, and also friends are driving up from the valley to take me to lunch and I said I would be happy to see them and enjoy lunch but I have a one o'clock class so can we go early!!! Lol they said yes, just goes to show you how this scrapbooking/altered art business gets in your blood!!! Have a great weekend. How gorgeous! I Love your card....so much detail. Very nice...thanks for taking the time and sharing! :) Happy Mom's day to you! what a gorgeous boxcard Clare. Clare, this is absolutely lovely! Happy Mother's Day! Hi Clare, I have just seen this over on Graphic 45 Blog. This is stunning, I so love the Botanical Tea collection, and this collection is on my 'Wish List'. 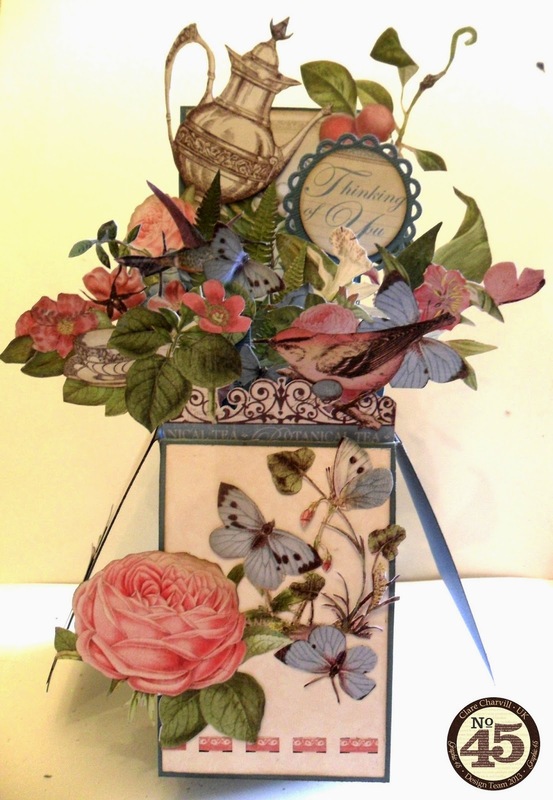 This folding box card is stunning, Clare, and a fabulous tutorial on G45. I love your gorgeous box card! It is stunning.